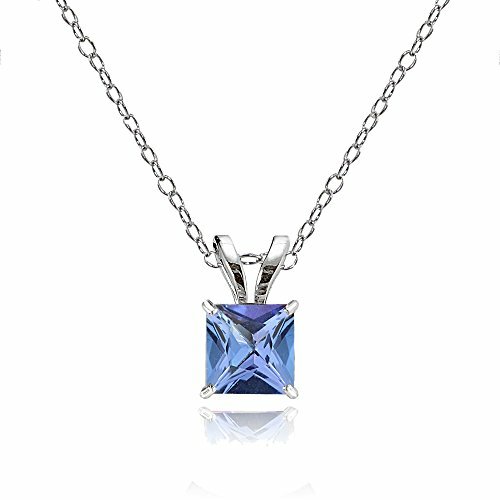 This beautiful necklace features a 5mm princess-cut tanzanite gemstone, for a an elegant and chic look. The pendant hangs from a 18 inch rolo chain and secures with a spring-ring clasp. The necklace is made of 14k white gold. This necklace is the perfect addition to your jewelry collection and is great as necklaces for women and necklaces for teen girls.